In the city of Calicut in the Indian state of Kerala, three young people grapple with entrenched structures of patriarchy – the free-spirited painter Haris (Jason Chacko), his love interest and friend, the athletic, mild-mannered Vishnu (Rajesh Kannan), and a fiery young woman, Sia (Naseera). The air is filled with protests and challenges to the rising religious and economic right wing. Ka Bodyscapes cuts out a slice of the contemporary Indian region, recreating in fiction the struggles of the young to gain space in the face of Hindu right-wing aggression and class oppression in their community. The film was originally banned in India by the Indian ratings board for “glorifying gay relationships”. Gregory (Petrice Jones) is a gifted working-class teenager from Paramin, a village located on one of the highest points of western area of the Northern Range in Trinidad and Tobago. Starring in a stage play, he soon catches the attention of James (Gareth Jenkins), an affluent businessman. The two men strike up an uncanny friendship as James takes Greg under his wing, pushing him to discover himself professionally, creatively… and intimately. Confused, Greg must at once deal with the return of his drug-addicted father, and navigate through the early days of adulthood. 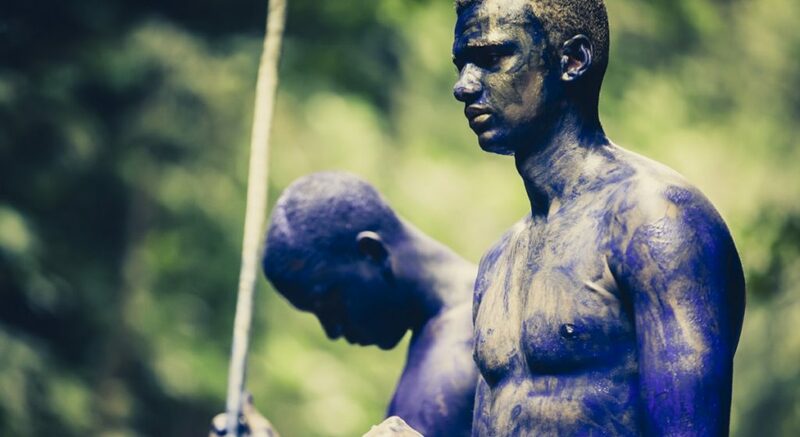 As Carnival Monday approaches and the locals prepare for the annual male initiation parade, Greg must confront James – an act which will prove life-changing.